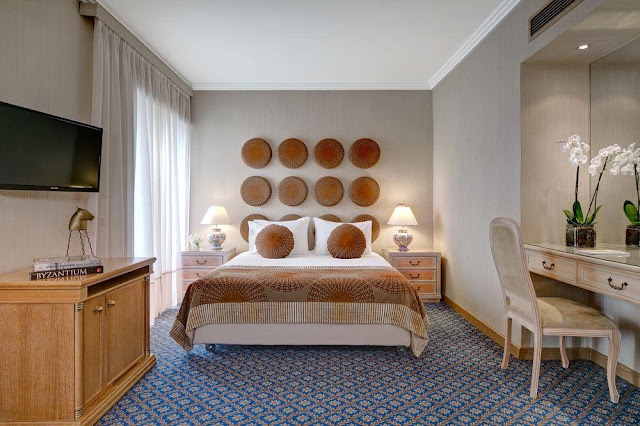 Divani Palace Acropolis is an iconic hotel showcasing the best of Athens. With the most amazing location one could ask for just meters away from the world-famous Acropolis this is the perfect place to savor Athens fascinating history. Located in Athens City Centre, this luxury hotel is within a 10-minute walk of Acropolis, Acropolis Museum, and Temple of Olympian Zeus. Parthenon and Syntagma Square are also within 1 mi (2 km). Syngrou-Fix Station is only a 5-minute walk and Akropoli Station is 7 minutes. Along with 2 restaurants, this smoke-free hotel has an outdoor pool and a fitness center. Free WiFi in public areas and a free area shuttle are also provided. Additionally, a bar/lounge, a poolside bar, and a coffee shop/café are onsite.